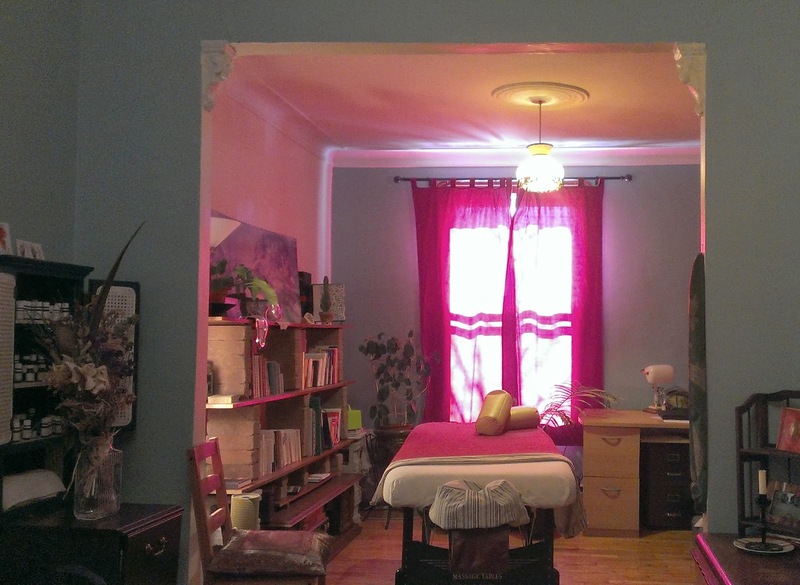 - Florent Bouchy - Massage Therapist : Treat yourself with an Efflorescent massage! :: A massage to get back to yourself, free from physical, mental, spiritual and emotional stress. :: Allow yourself to be guided into a sensory journey involving touch, smell and hearing. Treat yourself with an Efflorescent massage! Efflorescent massage is Esalen® technique performed by Florent Bouchy. :: The Esalen Massage approach allows for a deep muscular work and a stimulation of blood and lymph circulation, while stroking nerve endings to soothe the ailments imprinted in our bodies. Get massaged by long, fluid and rhythmic moves reminding of ocean waves, with joint mobilization, gentle rocking and stretching -- all this using various pressure. Meditation and compassion are at the core of this massage, in which tried techniques blend with intuition and creativity. :: Florent is said to have a grounding, beneficent and nourishing energy pouring through his strong though gentle hands. A genuine and serene person with comforting touch, whose experience with yoga, viet tai chi and qi gong shines during a massage. 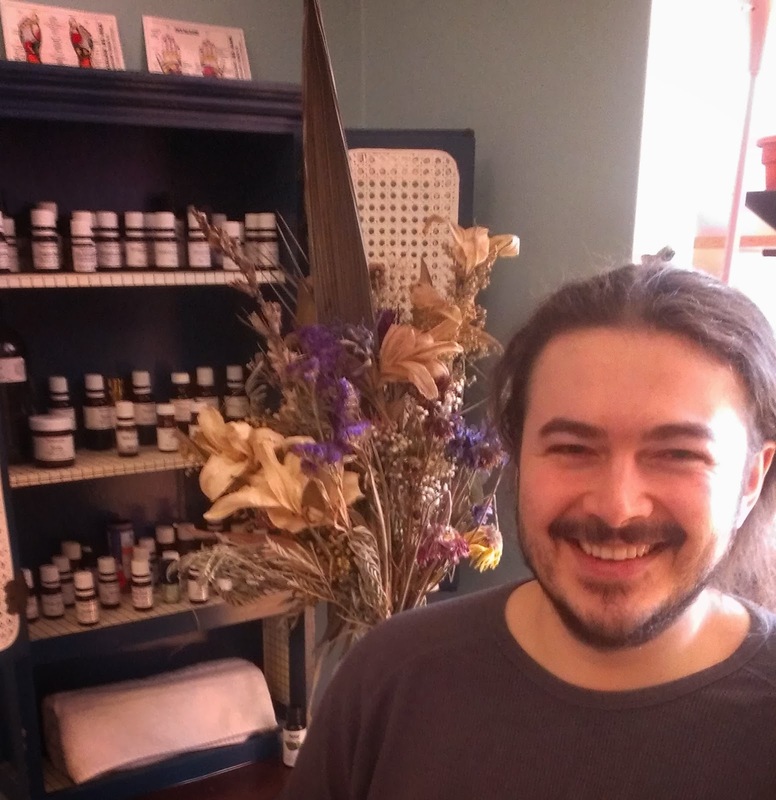 His practice is infused with aromatherapy, musicotherapy and adapts to everyone's needs. Includes 1h30 massage on table, with approx. 20 minutes discussion before/after. Small additional fee for a massage at your home or office (Montreal and Laurentians). Free cancellation until 36h in advance, otherwise 50% of the amount will be expected. Insurance receipts available at no charge ; I am a member of the AMQ (Quebec's Massage Therapists Association). Refer a new client and you both get 15$ off your next massage! This is a professional on-table massage therapy service only, not a "massage parlor". Plan about 30 minutes in addition to your massage duration (arrival, dialog, setup, coming back). Esalen massage is received with oil directly on skin, with a drape covering private parts at all times. In case of discomfort, underwear may be worn but will somehow reduce the quality of the massage (less amplitude and fluidity for some moves, especially around the hips and for the integration of the back and the legs). Arrive with an empty stomach (avoid eating during the previous hour). Mention any pain or illness, as well as past surgeries; I can work with most afflictions but I need to be aware of them. Please fill out this health form before your first massage. If you have any allergy to vegetal oils or aromatic essences (essential oils) then tell me and I'll use other products. I have a shower at your disposal if needed. In order to fully enjoy the effects of the massage, please get some rest and water during the remainder of the day (avoid intense physical activity and alcohol before the next day). Massage room in Sainte-Adèle in the Mont-Loup-Garou / ski Chantecler area (Exit 72 off 15 North) - address available when booking an appointment. Home or office massages also available (see prices above). It will be my pleasure to serve your health! Efflorescent Massage 2014. Ethereal theme. Theme images by MichaelJay. Powered by Blogger.